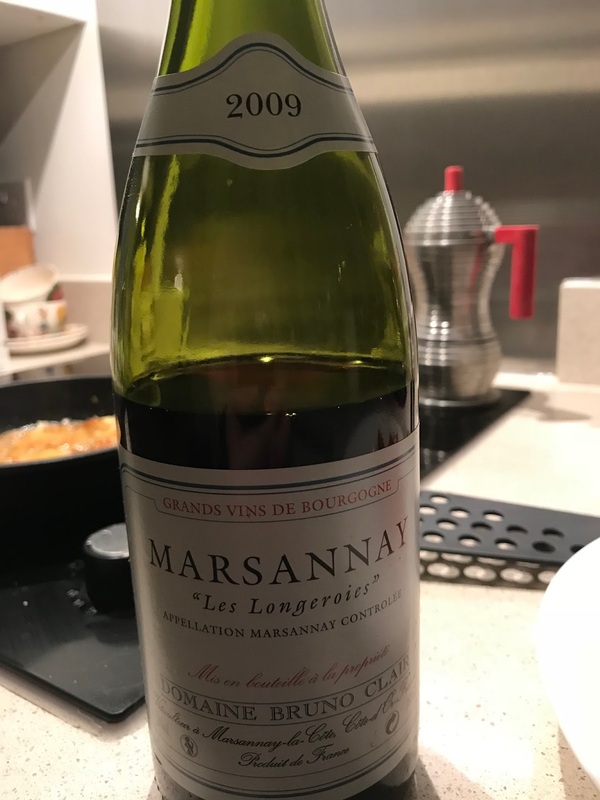 Poor little Marsannay at the northern tip of the Cote de Nuits is not widely respected. It's a small village, it has no premiers or grands crus and often suffers with a lack of ripeness if the summer is cool and damp. To try and distinguish itself, the vignerons specialize in a rosé. Despite these handicaps, it is a wonderful appellation to buy in warm vintages from reliable producers. And that was definitely the case in 2009. I have opened this Marsannay 2009 from the always-reliable Domaine Bruno Clair at the peak of its powers. A deep black cherry and plum colour announces a pinot with good ripe berry fruit and structure. The aspect is more Vosne than Marsannay. A bouquet of plum, cherry, eucalyptus, violets and rosehip is very engaging. There is pinot purity here. The real joy is on the palate as this combines rich black cherry with mature oak tannins and a ripe plum and cooked orange finish. Scores 74/100 for a Marsannay.